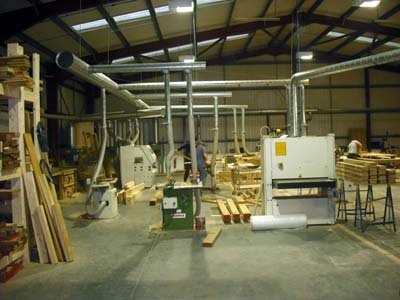 Jonathan Elwell Bespoke Joinery was set up in 1998. Since then we have provided thousands of beautiful, bespoke, solid wood doors, transforming many homes throughout the U.K.
Jonathan has many years of experience in the joinery manufacturing trade. He started off in the family business (sweeping and brewing up) from the age of 12. It was inevitable that one day he would start his own business which he did in 1998 (and this is it). With a lot of dedication, commitment, extremely long hours and of course the very best products money can buy the business has grown from strength to strength. As the years have passed Jonathan has gained more and more experience both in the workshop and on site. Other companies have highly trained sales people but sometimes that isn’t enough. Many of the things Jonathan knows cannot be taught, his knowledge comes from years of experience both in the workshop (on the bench) and out on site installing. From initial consultation through to delivery you can expect a friendly personal and professional service with true craftmanship to ensure that your doors, windows, gates etc. complement your home and needs perfectly. Whether you need something to fit into a specific space or you just want something a little bit special, a tailor made product from Jonathan Elwell is an investment which will last a lifetime and more.